You didn’t work so hard for so long to heal yourself just to let someone else break you again. 2. Realize that people can only fix themselves. 3. Don’t allow anyone to treat you less than you know you deserve. 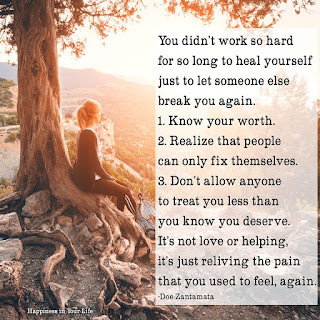 It’s not love or helping, it’s just reliving the pain that you used to feel, again.